The annual meeting of the American Educational Research Association (AERA) took place this month in New York City, between April 13 and April 17, 2018. 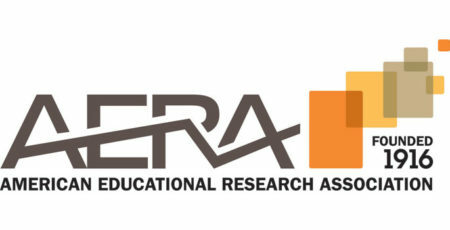 The aim of the AERA organization is to raise the quality of the educational process through the stimulation of research work and evaluation in educational domain and through the dissemination and application of educational research findings. The topic of this year’s annual meeting was contemporary challenges and needs in the domain of public education. The JOBSTEM project leader, prof. dr. sc. 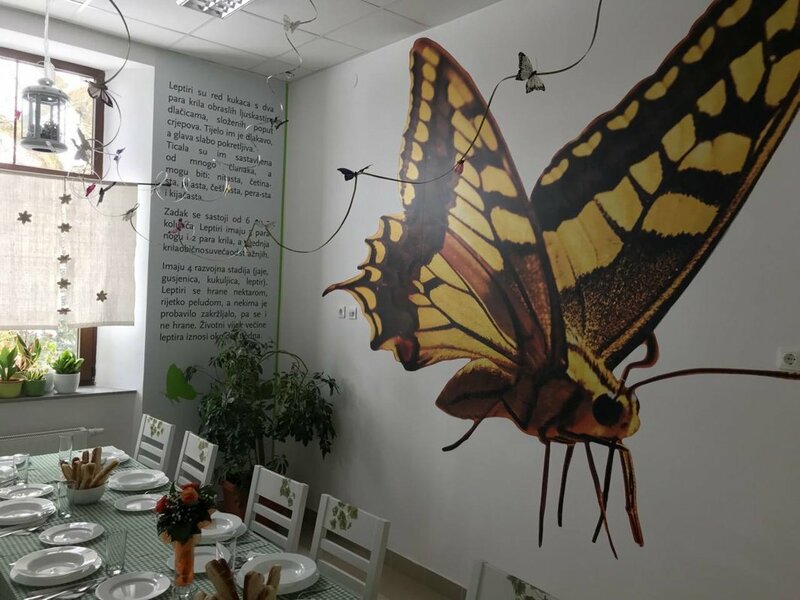 Josip Burusic, held a lecture on April 14, presenting some of the research findings from the Croatian public education system created within the JOBSTEM project. The theme of the lecture was the complex relationship between family characteristics such as parental education and family income and student achievement in the STEM school domain. 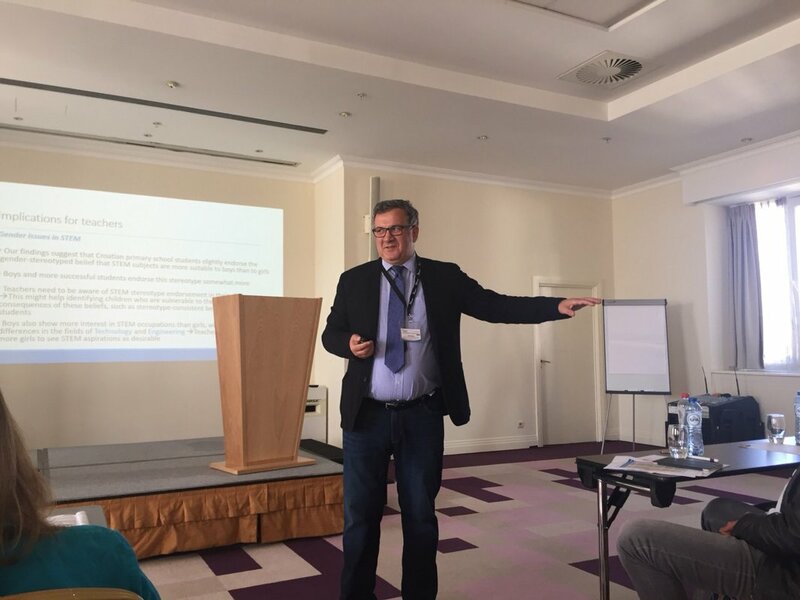 Professor Burusic first explained why it is important to explore the family processes in the context of STEM education and the so-called STEM problem, and which parent and family constructs are covered in the research of parents that is implemented within the JOBSTEM project. The presented results confirmed some previous findings that indicate that among the various socio-demographic indicators in the family, parent education has the greatest impact on children's academic achievement. Through the lecture, possible mediation mechanisms were discussed in the form of specific parental beliefs and family practices that could explain such finding, especially in the context of STEM education and school achievement. 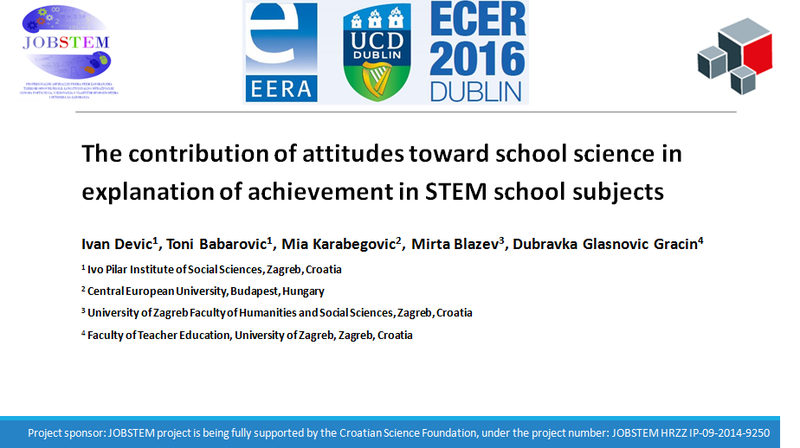 The significant influence of the family in explaining the differences in students’ motivation, achievement, and aspirations in the STEM area, calls for more attention in exploring the variety of family mechanisms in educational research. On the other hand, besides these research efforts, there is an obvious need to design and implement more educational interventions that will target groups such as families and parents, especially socially vulnerable families who have limited access to cultural and social resources important in the context of STEM education. 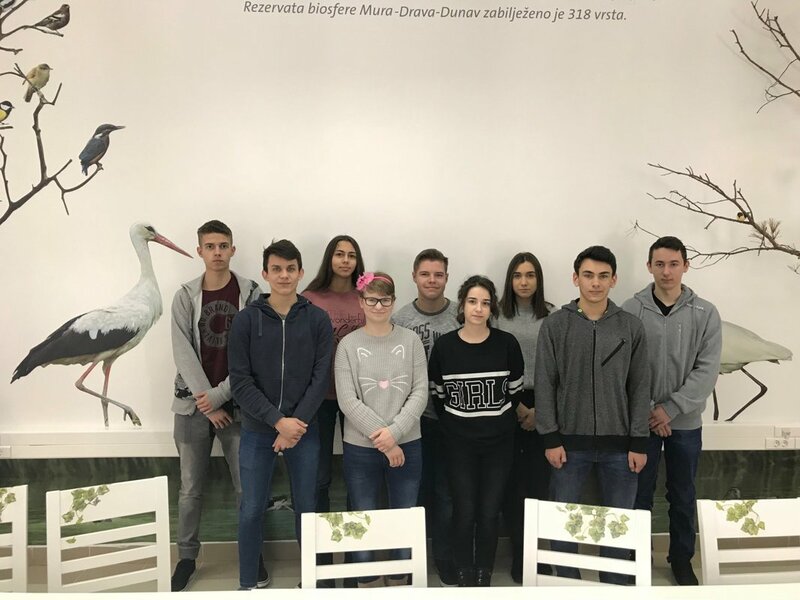 The planned STEM „camp“ for gifted student was carried out as part of the „Be STEMpatic!“ project, with 10 students from highschools in the Virovitica-Podravina county. 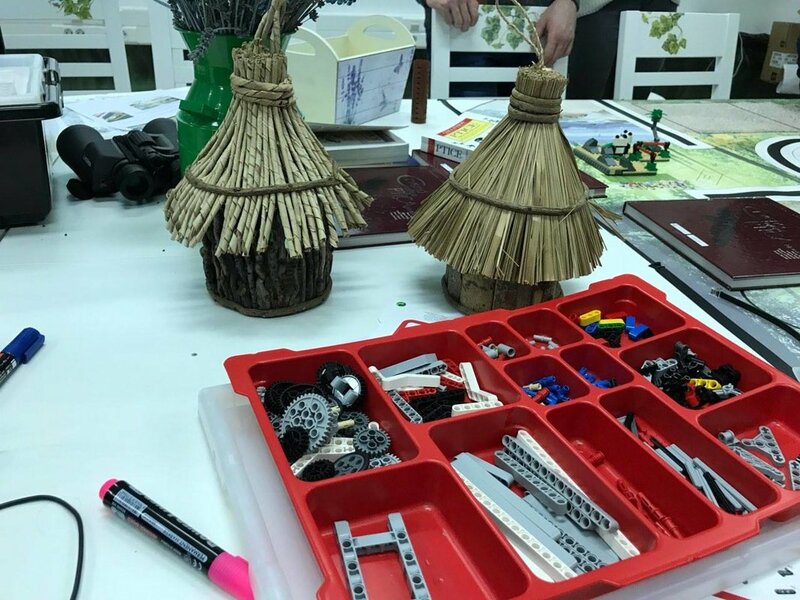 The camp took place from the 2nd to the 4th of March at the Information and Education Centre „Noskovačka Dubrava“, a public institution which governs the county's natural resources. 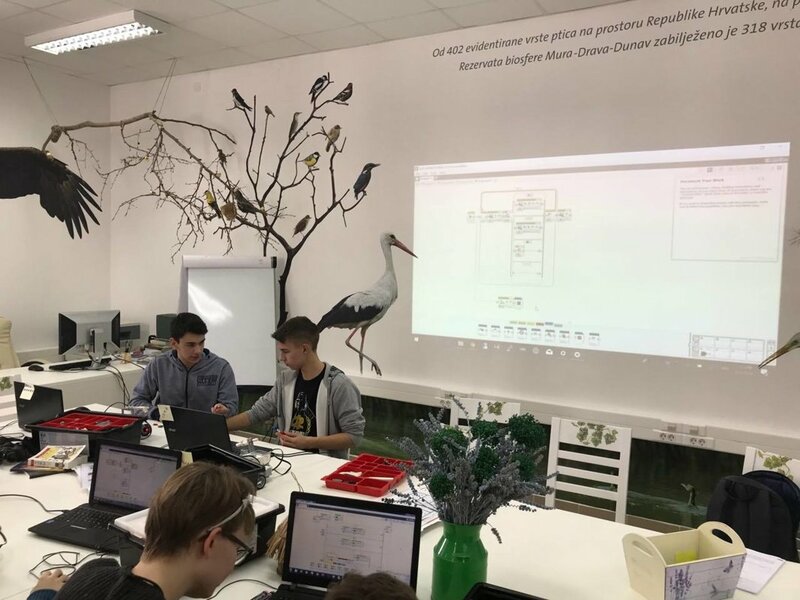 The representatives of the county opened the Camp by expressing their delight at the opportunity to host such a unique program which is the first of its kind when it comes to gifted students in the STEM domain in Croatia, in their midst. Seven workshops were carried out in the duration of the Camp, which included topics such as: „Assemble and breathe life into your robot“, „Competition of robot performance in different tasks“, „Atomic cores, everywhere around us“, „Chemistry – the less, the better“, „Electricity without dinosaurs“, „What are my interests and what is best for my future: A vocational guidance workshop“. 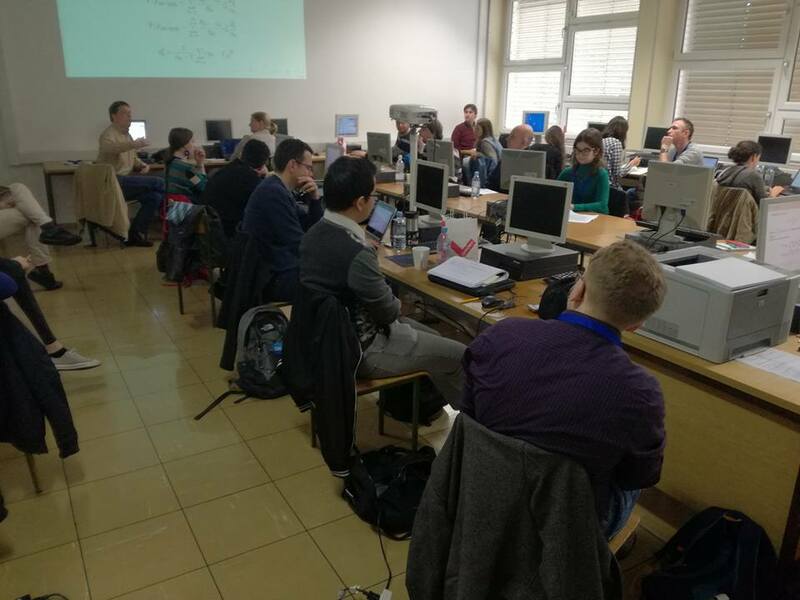 The workshops were lead by scientists from the Faculty of Electrical Engineering and Computing (FER), the Ruđer Bošković Institute in Zagreb and the Institute of Social Sciences in Zagreb. The participants of the first STEM gifted students Camp were selected based on the Model of identification of STEM giftedness, which was developed for the project. The students were selected from a pool of approximately 200 potential candidates, who were also highschool students. Tens of measures were collected via testing about all the candidates, and only ten were selected based on the criteria of the postulated model of STEM giftedness. Apart from the results of psyhological tests and STEM knowledge measures, the researchers had access to additional information about the candidates (such as their current and past grades). Conversations with the students in the camp and their teachers showed that most of the candidates had participated in national, regional and other highly selective competitions which exist in the educational system. STEM gifted! Third annual meeting of the project team concluded! The third meeting of the JOBSTEM research team took place on the 13th of November 2017. 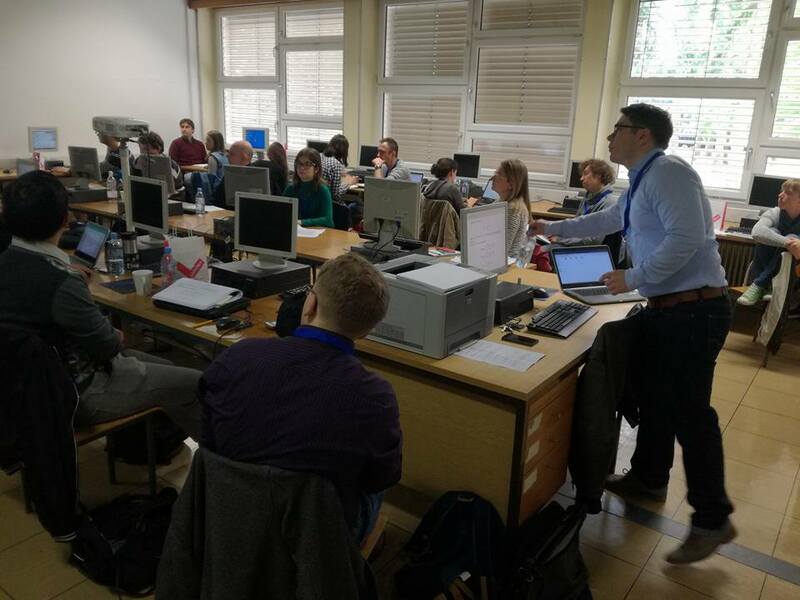 We first discussed the most relevant activities from the second year, including the ending and evaluation of the STEM intervention, the completion of the second wave of testing, data analyses conducted by the members of the team, dissemination of the project results through peer-reviewed papers and other channels, and setting up future collaborations through the project. Furthermore, we reviewed the third-year plan for the project. 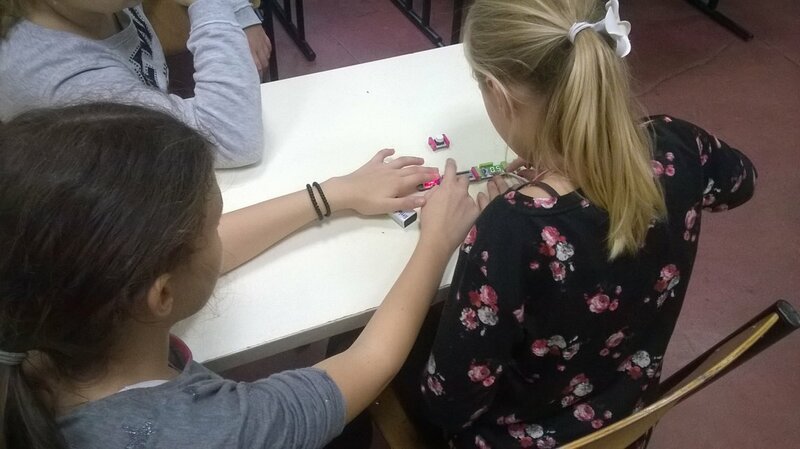 As the STEM intervention and related activities have ended, the focus will shift to disseminating research findings through peer-reviewed articles, as well as popular science booklets, coming up with and organizing workshops for students and their parents, collaborating with other experts in the area and turning some of the project activities international. After the final wave of testing is over, we plan to put special focus on drawing conclusions from the gathered data and establishing a set of guidelines which stem from the longitudinal data analysis. 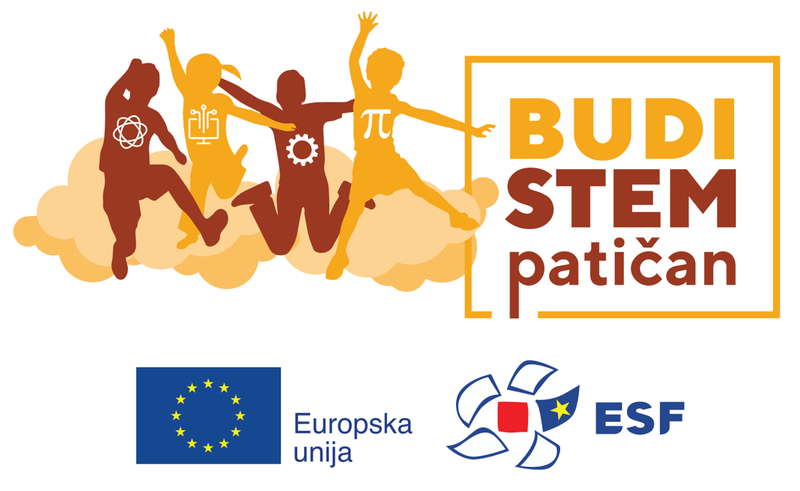 The „Be STEMpatic!“ project is financed by the European Social Fund, related to the call for proposals „Encouraging work with gifted children and students at the pre-tertiary level“. 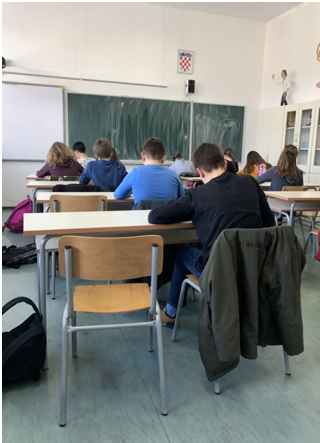 The project will last for 16 months, and be implemented by the Virovitica-Podravina county in cooperation with 14 elementary schools and 7 high-schools. 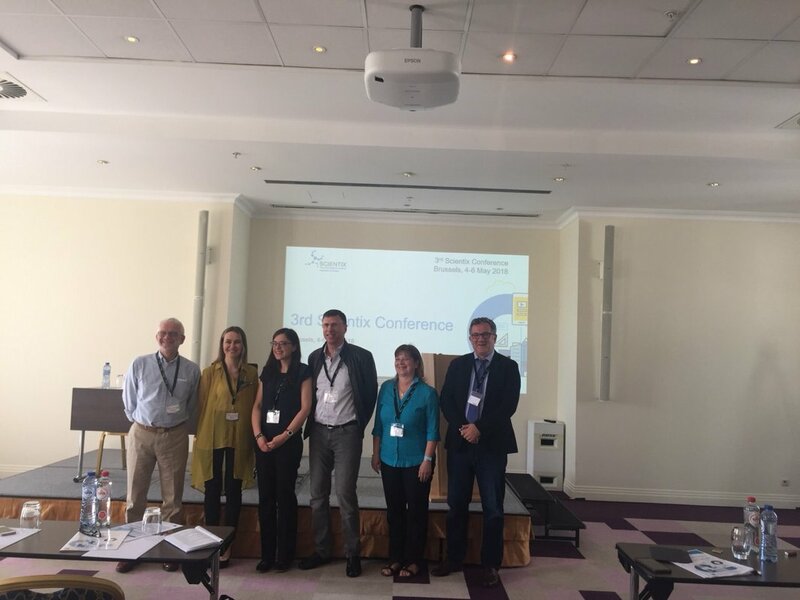 The Institute of Social Sciences Ivo Pilar will also collaborate on a number of project activities which concern the development and evaluation of models used to identify gifted students in the STEM domain. 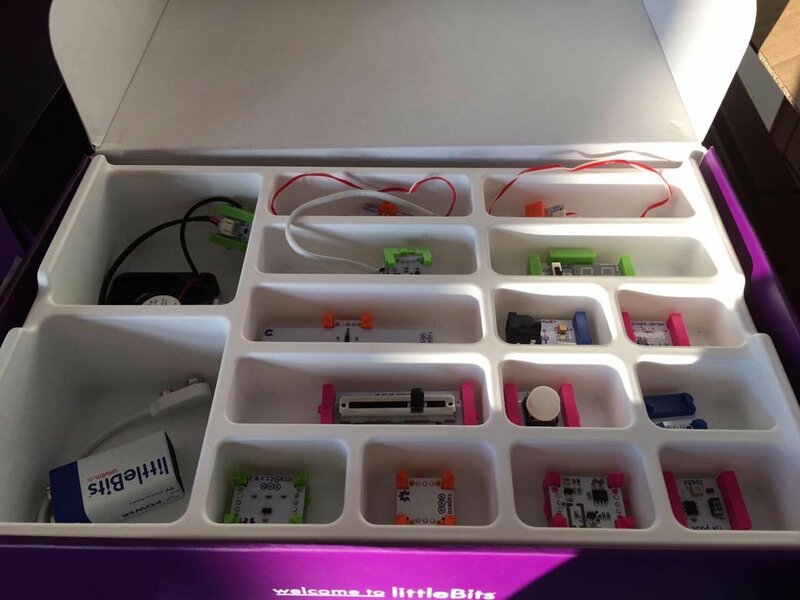 Further activities are planned to take place in the context of the project, such as training teachers and skilled workers to successfully recognize, educate and monitor STEM gifted students; and preparing educational handbooks with comprehensive guidelines for teaching these groups. The JOBSTEM team can offer expert insight and evidence-based recommendations to aid in the successful completion of these activities. 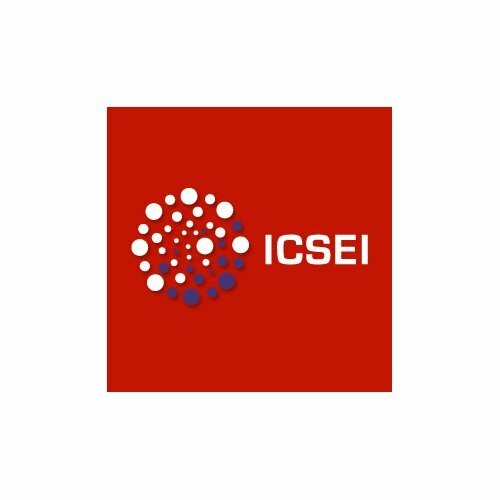 This collaboration presents an opportunity to use the research findings from the JOBSTEM project and implement them in practice through translating scientific observations directly into the educational process, thus addressing the concrete educational needs in the STEM domain. With the end of the second JOBSTEM project year, we can sum up some of the activities we've engaged in during this time period. The second full team meeting was held in the beginning of the year, during which the activities of last year were discussed in the context of the main research aims and the agreed-upon plan of the project, as well as the schedule for the upcoming year being agreed upon. The experiences and recommendations stemming from the previous year were taken into account, and a new, updated testing schedule was made to address the issues encountered in the first research wave, and the organization of testing in the field. 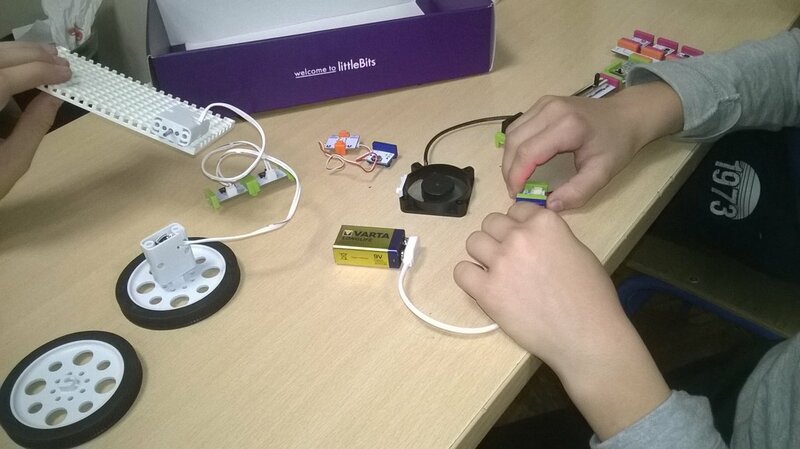 In the second research wave, we tested students from the 5th, 6th and 7th grades, in the schools involved with the project. Testing was organized in two parts in the beginning of 2017, and the collected data were added to the project database soon after. Following this, longitudinal data analysis began based on the data from the first two waves of testing. The second year also marked the end of the STEM intervention program for the students of the schools from the experimental condition. The intervention was organized in two parts. 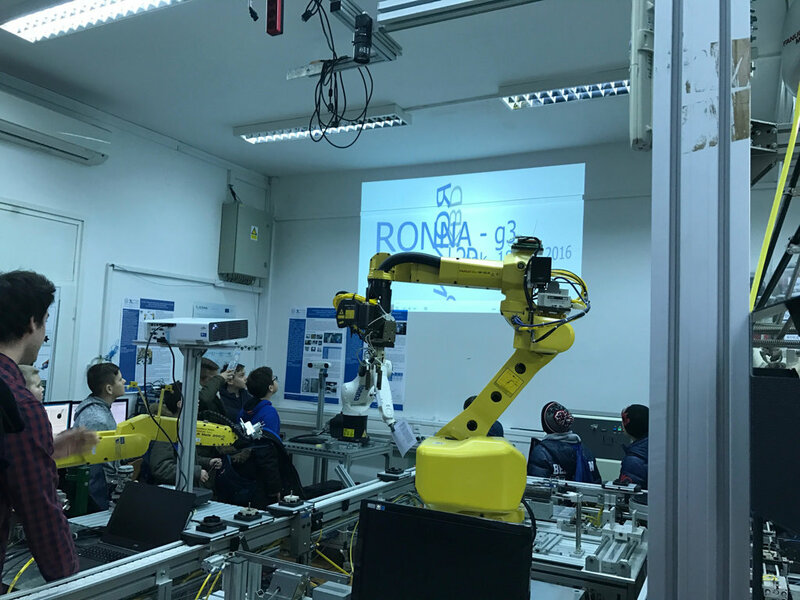 The first part consisted of workshops conceived by the collaborators from the Faculty of Electrical Engineering and Computing (University of Zagreb) for the purposes of the project, and included the areas of robotics, programming, computer science and electronics. 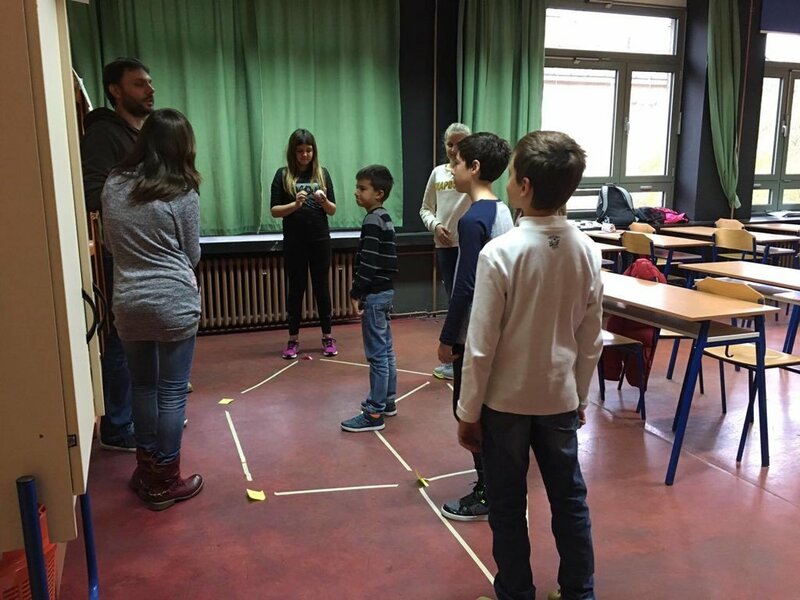 The workshops were based on a series of guided, interactive exercises in which students worked to solve the given tasks in teams. 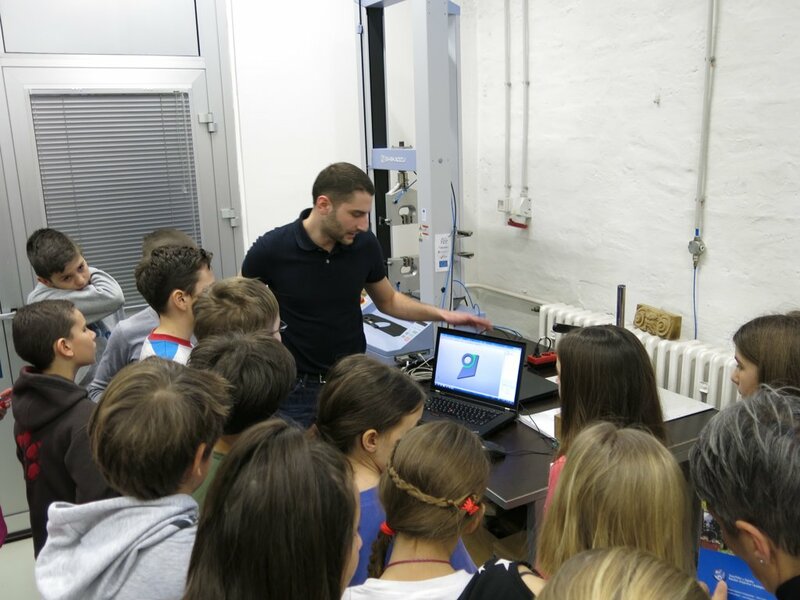 In the second part, students visited three research institutions dealing with STEM domains: the fifth graders visited the Faculty of Mechanical Engineering and Naval Architecture, the sixth graders visited the Faculty of Chemical Engineering and Technology, and the seventh graders visited the Ruđer Bošković Institute in Zagreb. Focus groups were held with the students who had attended the intervention-related activities to collect qualitative data for the evaluation of the process and content of the STEM intervention and further our understanding of its outcomes. 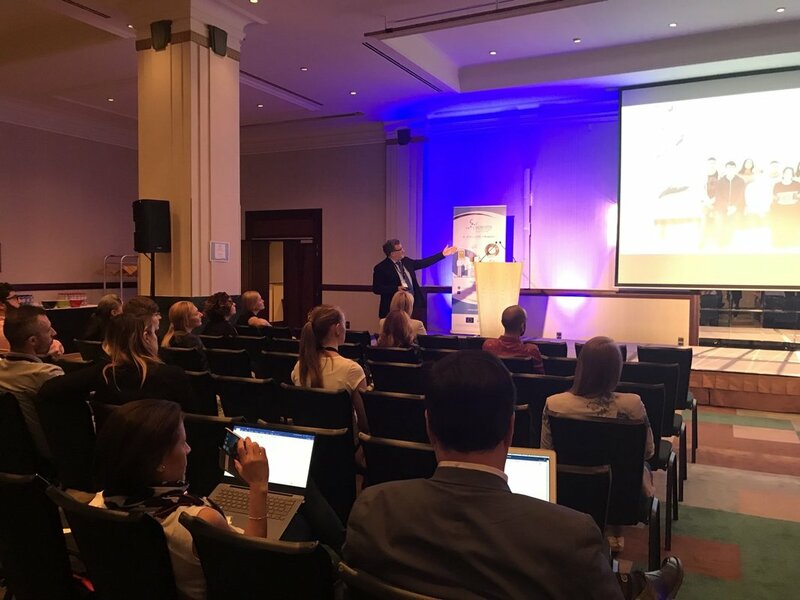 Apart from the above, the members of the JOBSTEM team attended several workshops organized by international institutions during which they acquired valuable methodological insights in the domain of educational research. 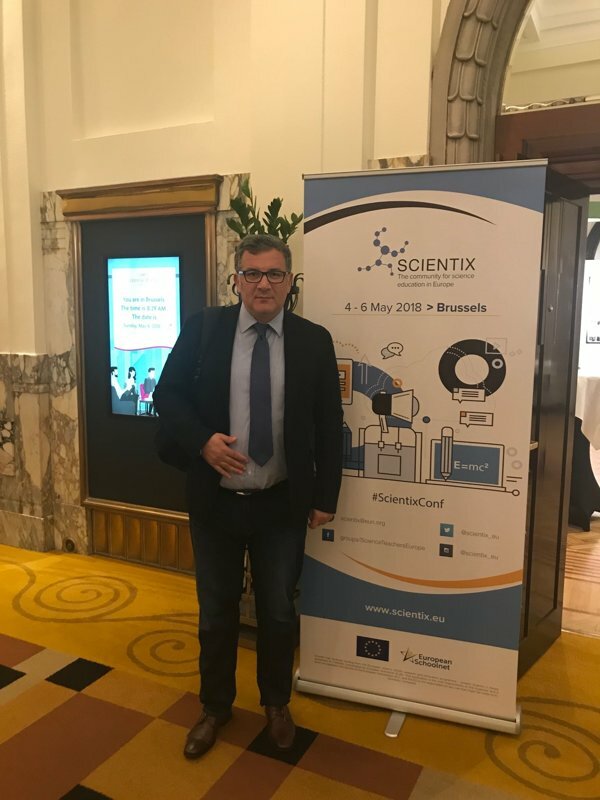 We have also prepared five new research papers and presented the results of the project at several international and Croatian conferences, with the addition of being visible in many press outlets. Finally, many valuabale collaborations were established, of great importance for the visibility of the project, as well as potential research collaboration. Among those, the collaboration with dr. Louise Archer, the leader of the ten-years-long ASPIRES project at the University College London, which focuses on the question of the development of STEM aspirations and career choice, can be singled out. Through all of the aforementioned activities, the goals set for the second project year have been met. 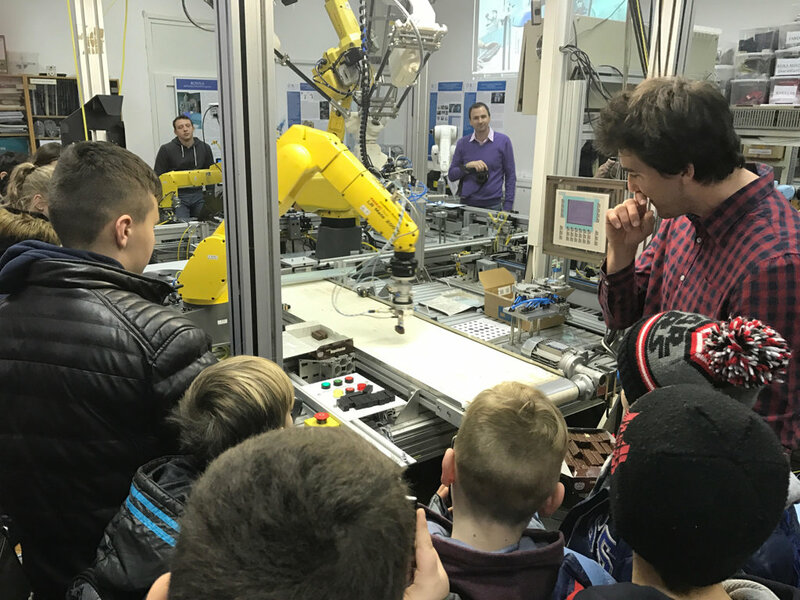 After the successful STEM intervention for fifth-grade students at the Faculty of Mechanical Engineering and Naval Architecture, it was sixth-graders' turn to visit the Faculty of Chemical Engineering and Technology at the University of Zagreb. 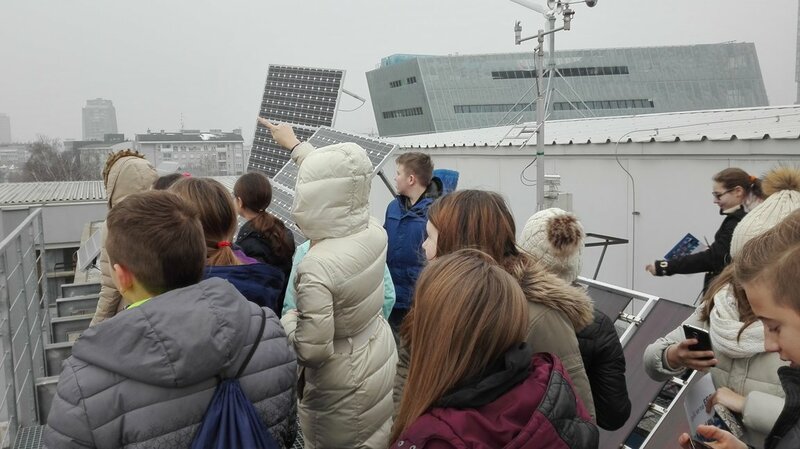 Two forms from each experimental school were taken on a tour of three departments – Department of Organic Chemistry, Department of Analytical Chemistry and the Department of Mechanical and Thermal Process Engineering. In groups of ten, the students went through a myriad of interesting exercises, experiment and demos, with the guidance of the Faculty's professors and teaching assistants. For instance, they changed the color of water into purple, blue, green and yellow by using substances such as Manganese peroxide and adding sugar and alkaline crystals. They also had the task of uncovering a hidden picture drawn with colorless acid and alkali indicators, and is revealed by spraying it with an alkaline solution. Except from water, the students were also shown how to change the color of flame with the help of ethanol to which different chemical substances are added. Other interesting demos involved the quick dissolution of Styrofoam in acetone, using acetone and dry ice to decrease temperatures below 70 degrees Celsius and create artificial fog, and producing the so-called „elephant's toothpaste“ with the help of hydrogen peroxide, liquid soap and artificial coloring. At the Department of Analytical Chemistry, students heard a presentation about Teobroma caccao – the plant responsible for everyone's favorite sweet indulgence, chocolate. They learned about the step-by-step procedure used to ascertain the level of iron in chocolate, and how it relates to different qualities of specific types of the product. 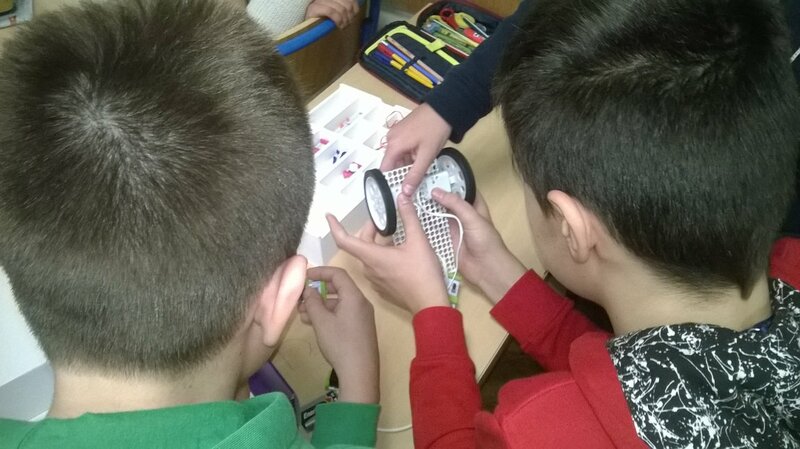 There was also talk about chromatography and how it can be used to discover the colors needed to produce different shades of felt-tip pens on paper, and make interesting colorful shapes. At the Department for Mechanical and Thermal Process Engineering, different varieties of crystals, such as snowflakes and salt crystals, were the main attraction: apart from hearing about them, students were also given the chance to observe them through microscopes. During these workshops, students were given the opportunity to get acquainted with Chemistry before its inclusion in their school curriculum, and to see how useful, as well as fun and interesting, it can be.